Fortnite (Free) recently had the Getaway LTM and now that downtime has begun for Patch 5.41, that mode has finally concluded. But fret not as every new patch has another Limited Time Mode for you to enjoy until the next one. Soaring Solos lets you use your glider while jumping off large heights during gameplay and not just when you jump out of the Battle Bus. If you enjoyed the Playground, you will now be able to spawn a complete Spiky Stadium through a red supply drop. The stadium has loads of bouncers and traps. 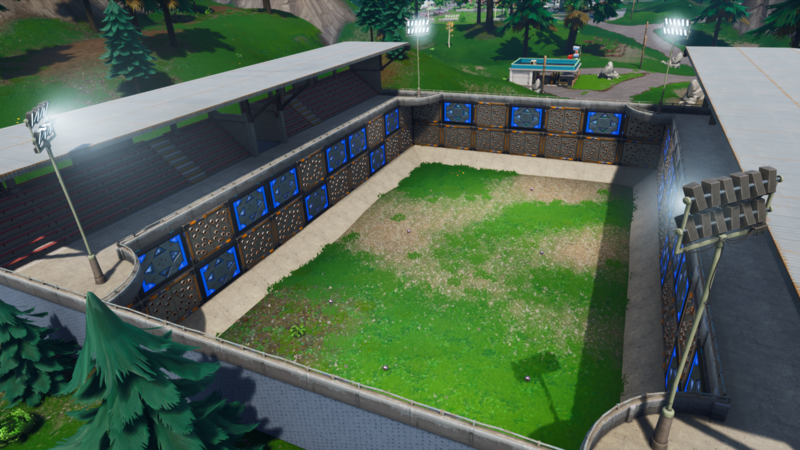 The Port-a-Fortress will let you instantly build a portable fortess (shocking) with bouncers. It is a legendary item. There was a bug where an unsupported character used for ingame names would cause some hitching. This has now been addressed in 5.41. When it comes to visual tweaks, bounce pads on the walls now have edge glow so you can recognize them better. Downtime is currently live as of this writing but the servers will be up soon on all platforms. If you do play Fortnite, we have a dedicated channel in our Discord. Make sure to join our Discord channel here to squad up and get some Victory Royales.